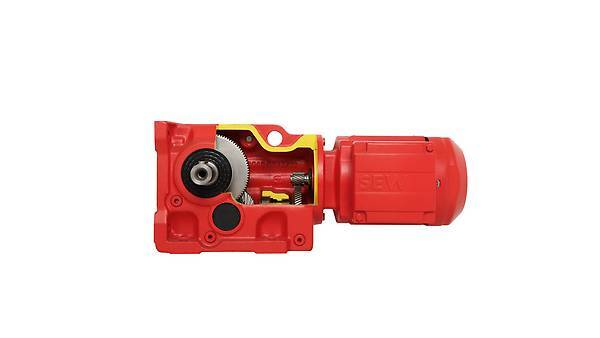 Our ATEX-compliant K series right-angle gear units combine high cost-effectiveness with explosion protection thanks to their wear-free gearing and high efficiency. You want a drive solution that can be installed in a small space? One that provides reliable motion in potentially explosive atmospheres? Then we recommend our explosion-proof helical-bevel gear units in equipment categorie II2GD. These right-angle gear units have torques from 200 Nm to 50,000 Nm and feature a particularly compact design. With their high efficiency in both directions of torque and at any input speed, they are also very energy-efficient. Their high-endurance gearing is wear-free and lasts a gear unit’s lifetime. For precise positioning tasks, you can use the K series explosion-proof gear units with reduced backlash. A long, maintenance-free service life enhances this economy and efficiency. 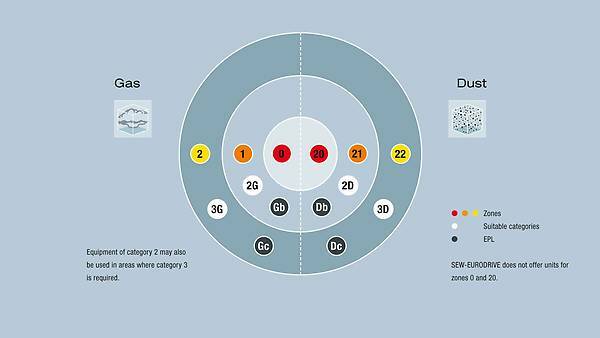 That’s why the K series is used in so many applications in potentially explosive atmospheres. Worldwide! Only half the solution without a motor? Then use our sophisticated modular concept and combine the explosion-proof gear units of the K series with the explosion-proof motor of your choice. due to the high efficiency degree in both directions of torque and at any input speed. 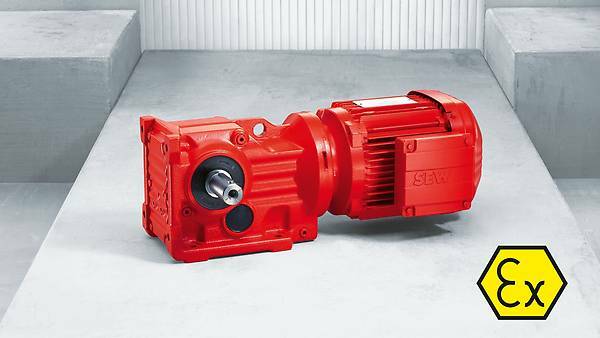 in a compact design, available in 12 sizes with torque ratings from 200 Nm to 50,000 Nm.